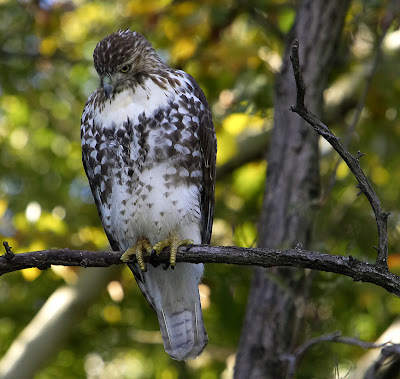 The Red Tailed hawk above has just left a near-by tree where it had tasted and found undesireable a rat that it earlier had found dead on the Tompkins Square Park lawn . This dead rat , as can be seen below with a mouth-full of maggots , had been dead for a while , at least a day. We do not know the cause of the rats death ; rats die of many causes in TSP. 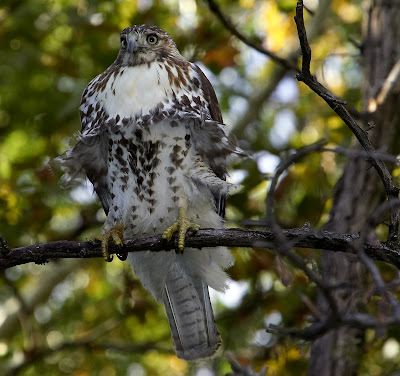 The hawk was now perched on a limb in another tree , occaisionally adjusting its balance as it was perturbed by an occaisional cool , fall gust of wind , waiting for a live dinner to come with-in striking range . 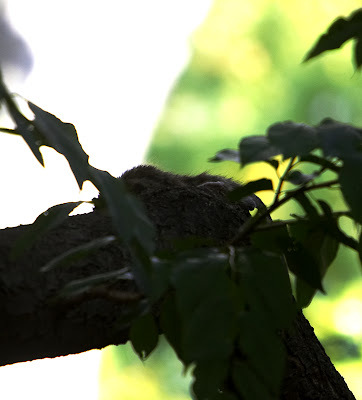 The dead squirrel pictured below was found not too far from the entrance to a rat tunnel . 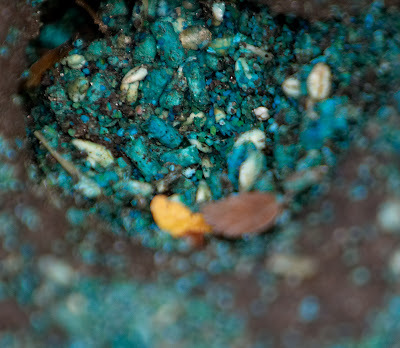 A tunnel in which some rat poison had been placed ....with some of the poisonous blue bait un-safely spilled out side of the tunnel where it was available to not only rats but to squirrels ,children and dogs . 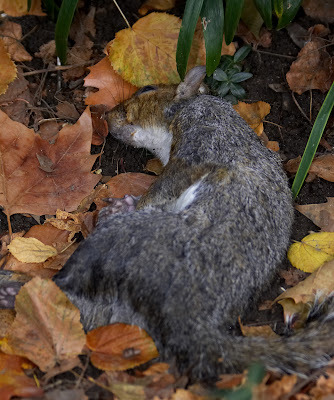 We can not claim here that this squirrel was poisoned ; not even by poison improperly and unsafely placed : squirrels die of many different causes ... including poisons . 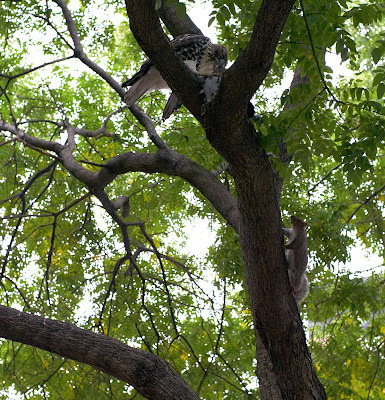 The city Parks Dept has recently been placing rodenticide in Tompkins Square Park , most if not all of it being difethialone included in different bait forms , manufactured by LiphaTech Inc. . A rodent control program is necessary in TSP as there are far too many rats in TSP ; a fact we reported here previously at NMNL in 4 posts about " The Rats of Tompkins Square Park " . 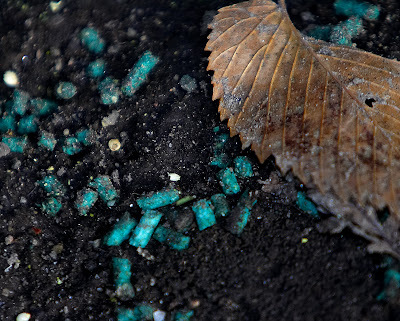 The blue pellets pictured below are probably "Blue Max Meal" a form of rat bait manufactured by LiphaTech ( see LiphaTech link below) . Though there were no warning labels posted near the blue bait pictured below which referred to "Blue Max Meal" there were with-in sight labels refering to "Generation" , a differently packaged ivory colored pelletized bait containing the same concentration of difethialone as the active ingrediant as "Blue Max Meal " . "Generation " is also a product of LiphaTech Inc. and is also used in TSP ( see manufacturer's link below for product info concerning " Generation" and "Blue Max Meal") . This rodent bait has difethialone ( for the bait pictured here the EPA registration # is probably 7173 238 ) as the active ingrediant which is a very toxic anti-coagulant poison .One meal of this bait will kill a rat . The rat simply bleeds to death internally or if injured ,bitten by anther rat for instance , externally. This material is equally toxic to other mammals such as dogs cats and squirrels . 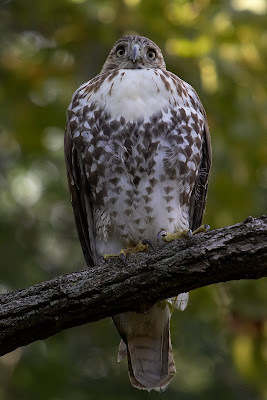 It is toxic to birds also and with birds of prey the poison can be ingested by eating dead animals poisoned by this substance ( see the links below to research by state and federal environmental protection agencies ) . 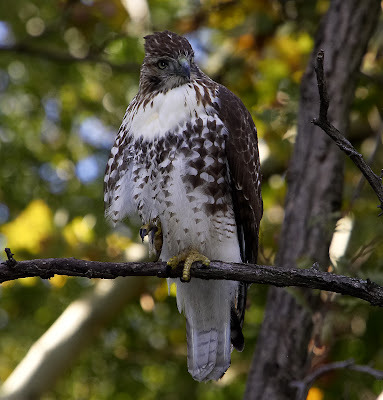 Birds of prey that eat many dead animals with difethialone residue are reported to be at some degree of risk for bleeding excessively ( even to death ) if injured due to a non-lethal concentration of anti-coagulant in there blood ( see links below) . There are also reported to be possibly other non -obvious effects due to the build-up of low level blood concentrations of anti-coagulant poison ( see links below). 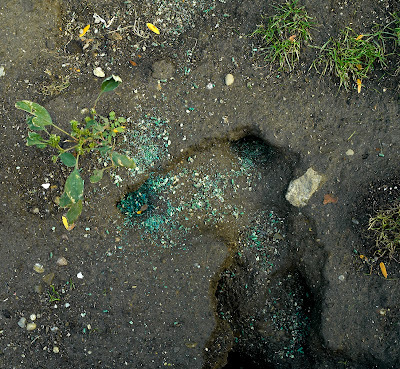 The 3 pictures of the improperly placed pelletized bait above were taken on 6 November 2007 . Read the instructions for placement of this bait listed on the warning label at the manufacturer's web-site linked to below . The 1 picture below was taken by flash at night on 8 November 2007 . 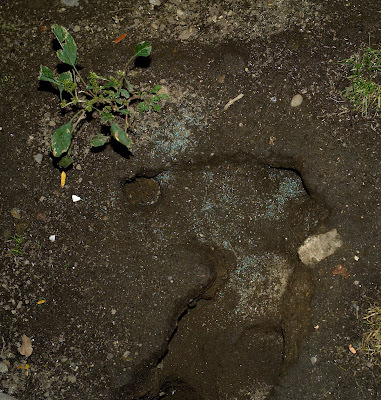 Here it can be seen that though some of the bait has been eaten , 2 days later some bait is still left exposed to contact by squirrels ,dogs and children . A children's playground is near-by . 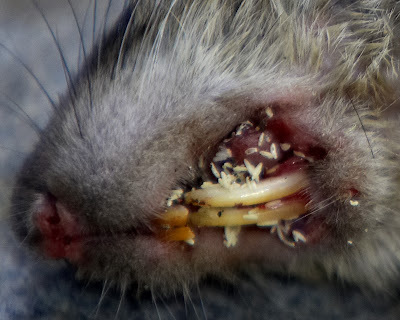 This rat bait containing difethialone is a restricted rodenticide : it can be handled only by certified personnel who have been trained to apply the poison safely . Here it has clearly been improperly and dangerously placed in a public park near a playground . DIFETHIALONE MUST BE PLACED SO THAT ONLY RATS HAVE ACCESS TO IT . If you have any doubts about this see the links below . 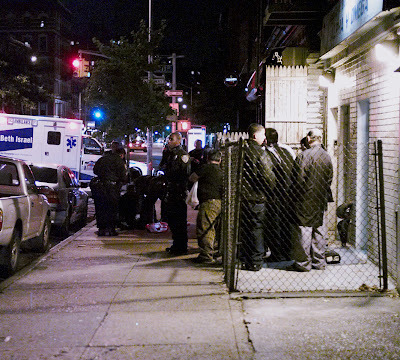 Around 9:15 PM Tuesday night a man was stabbed near the corner of Avenue A and 11th Street . A man suspected of doing the stabbing , reported to be wearing a white shirt , fled the scene of the crime heading south on avenue A . We do not know the reason for the stabbing at this time . The victim who was removed to hospital was reported to possibly have among other injuries a punctured lung . Yes , it is now a better and saner time for Jim and Jesse Jane . No more living in a park or sleeping the night in the street . Jim and Jesse have an appartment in Brooklynn . Jim sold his web site , eastvillge.com , but now has a site that has a very similar name and has all the content of the old site , http://www.mosaicman-eastvillage.com/ as well as a new site http://www.eastvillage.tv/ . 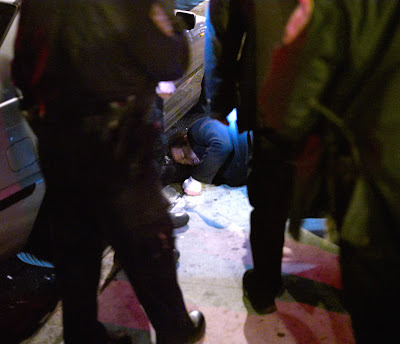 To our mind , and perhaps here we are just prejudiced and thus too judgemental , Jim sold his site for far too little to a Mr. Weiss who we feel simply capitalized on Jim 's desperation , misery and misfortune because he could ... a behavior being nothing new or unusual in todays East Village . According to Jim , Mr. Weiss is in some way in the real estate bussiness as well as an owner of numerous other web-sites . 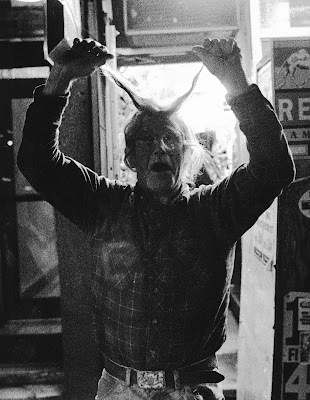 Who knows what will become of http://www.eastvillage.com/ in Mr. Weiss's hands . For us this sale is just another example of the destruction of something that , though a bit disfunctional at times and under-utilized , was a major constituent of what was the East Village .... it amounts to a loss for anyone that loved the character of the East Village. The principle of the maximization-of-asset-performance wins again . Jim used the money from the sale to rent an appartment in Brooklynn near the intersection of Broadway and Myrtle ave . The appartment is a basement appartment with a backyard that Jess Jane loves . It is only 2 stops from the lower east side by the J train . Jim is still working on his Mosaic Mile project and now has some assistance with that project . Bob Holman and his NYU class has obtained not-for-profit staus for the mosaic project . The project site can be found at http://www.empowerjimpower.com/ . Individuals and groups can donate money , materials and labor at this site . The group is sponsoring a walking tour of the Mosaic Mile on November 17 ,2007 . 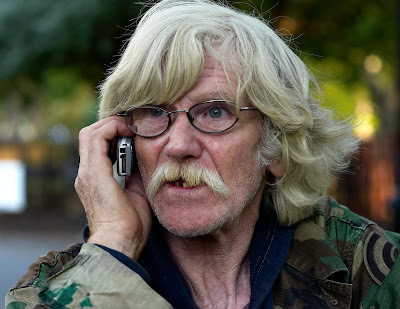 Today Jim was in an up-beat positive mood as can be seen below as we photographed him in Tompkins Square Park talking to "TheVillager" about his recently improved situation and his plans for the future . More to come on this later .